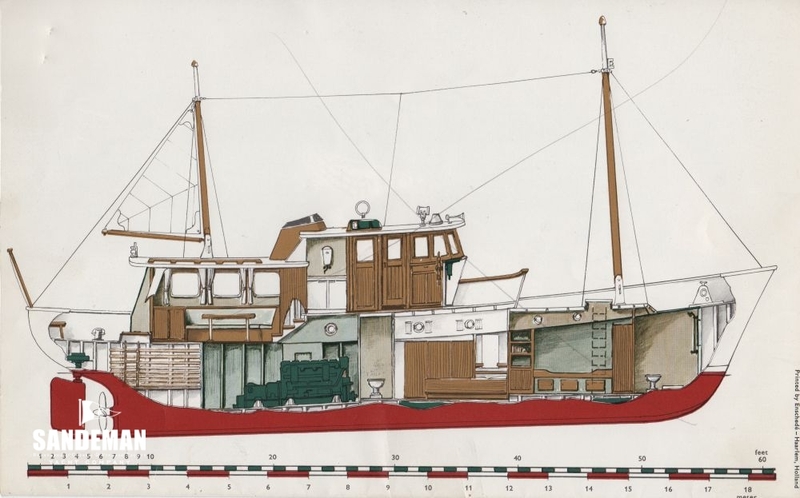 STELLA MIA is a particularly well-proven example of the Cammenga North Sea Class trawler yacht type, renowned for sturdiness, seaworthiness, and comfort both at sea and in port. Under present long ownership, this proper little ship has plied a regular beat between summers in southern Spain and occasional winters hauled out on her owners’ south coast of England private patent slipway; Gardner diesels lap up that kind of long slow running. In recent years STELLA MIA’s maintenance regime has fallen somewhat behind and she is now offered as a refit project, requiring deck and cosmetic upgrade, and interior modernisation - however she could easily be used and enjoyed as she is. Purchased by her present owner in 1994, STELLA MIA has since then cruised extensively throughout the Iberian Peninsula, with occasional passages back to her owner’s home slipway on the south coast of England - making many friends at ports along the way between Barcelona and Cowes. When laid up she’s always been stored ashore.